If there’s one thing I love it’s not having to cook a complicated dish with more steps than you can count and more prep than you can begin to think about, and still have a great tasting dinner! 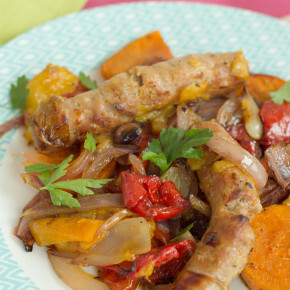 This Caribbean Sausage Casserole is exactly that. 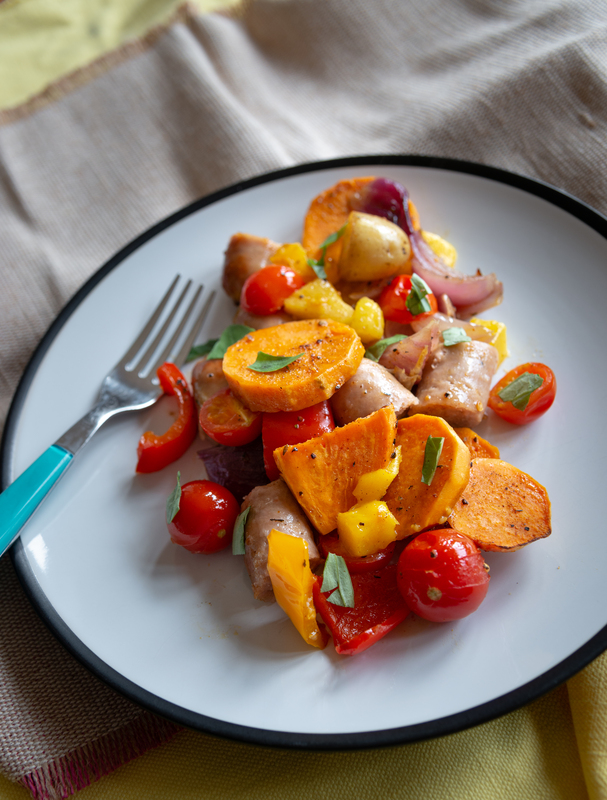 I’ve used Gold Standard Nutrition’s Butcher’s Selection Range of Pork Sausages specifically because of their high quality and excellent flavour. Include them yourselves for a minimum effort, great tasting dish with a delicious kick of caribbean cooking. The parsley at the end adds a real freshness to this hearty, sweet dish. Prick the sausages and add them to a large roasting tray. Pre-heat the oven to 200C (fan-assisted). Add the red onions, potatoes, tomatoes, honey, mango, peppers, along with the jerk seasoning and olive oil. Toss the ingredients well so that they are well mixed with the seasoning, along with the salt and pepper. Place the roasting tray in the oven for 30 minutes, turning the ingredients halfway so that they don't stick and are evenly cooked. Once the time is up remove the tray and add the fresh parsley.